The Lucifer Effect explains that good and evil coexist in the same person, and that the circumstances around us can dictate which one will prevail. By knowing better how the circumstances influence us, we can all make sure that good wins out. 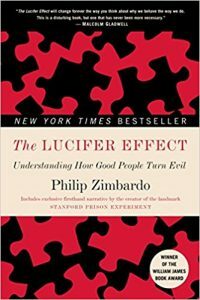 I find Philip Zimbardo’s The Lucifer Effect to be a must-read for anyone who wants to get a better sense of ethics and morals (and become a stronger force for good). The Lucifer Effect speaks at length of various experiments and circumstance. I will skip most of that. Most people, most of the times, are moral. But imagine morality like a gear shift, and like a gear shift, it can go neutral. When that happens, there is no more morality to stop our actions, and if our car-persona happens to be standing on a slope, we can easily go downhill and do things that we wouldn’t otherwise do. How do we disengage morality? Zimbardo says we all want to construct a simple world were good and evil are opposite. Our Western societies also tend to induce us into mistake as they glorify the individual and the individual choices (dispositional approach). But the individual acts in a bigger social setting, and takes on different roles within his life. If the social setting and the roles he takes on tilts a certain way, they can overpower otherwise moral and ethical people. Hence, the ways to stop crime of obedience is to assert personal authority and take responsibility for one’s actions. Zimbardo spends a lot of time discussing his own famous Stanford Experiment. Students who started as normal and mentally healthy human beings soon began to change as they started embodying their characters of guards or inmates. The prisoners became passive and submissive. They learned helplessness. The guards on the opposite started acting mean and evil. As things spiraled out of control, several prisoners had to be released early and the whole experiment had to be stopped because it was taking on very bad twist. One prisoner had an emotional breakdown. The prisoner later recounted saying he was faking it to be released. But Zimbardo says he just made that up because he felt ashamed of breaking down. Zimbardo draws a parallel between his Standford experiment and the scandals of the Abu Graib prison were US military personnel abused -and recorded the abuse- of local civilians. The author says that it wasn’t a case of “bad apples”. They might have been good people in different occasions. Indeed similar abuse happened in the UK military as well, and it included a former war hero. He says the responsibility should be looked in the system that made it possible. I couldn’t agree more that it’s the system that we should look into even more than the individuals’ faults. However, I didn’t personally find the “systemic analysis” to be too enlightening for me here. Zimbardo makes one more point which I love. He says that organized system can sometime produce evil as a byproduct of legal or operational framework which do not take into account an ethical framework. A system can product evil as a byproduct of pursuing its goals of profits, ideology or end results. The author also talks about “mediate violence”, such as situations where authority can inflict pain without physical assault. Such as by firing, giving bad reviews, yelling at an employee, undermining etc. This is by far my favorite chapter and something I strongly believe in. We should all wonder if the authority that is giving us orders only has the title of authority or also the moral compass to be in charge. Always take responsibility for your actions. And always look critically at authority. The author finally says that as much as there is the possibility of evil and we can witness evil in daily circumstances, heroism is the same. There is a hero in each one of us. Turns out, Bowie was right. We can be heroes. Just for one day. The Lucifer Effect in psychology alludes to the fact that all human beings can commit cruelty under certain conditions. As a website on psychology, games people play and the darker side of socialization and human nature, good and evil is a topic I explored a lot. Good and evil: are heroes a twig on the branch of antisocial personality? The Stanford experiment has been vociferously criticized. The name itself is a misnomer, as the lack of scientific rigor does not make it an experiment, but as the author himself admitted, more of a demonstration. The results of the “experiment” have not been replicated in similar successive experiments and I invite you to read this article which is the dialogue between Brian Resnick and Zimbardo. It’s an incredibly interesting article. The single conclusion is a broad line: human behavior, for many people, is much more under the influence of social situational variables than we had ever thought of before. I will stand by that conclusion for the rest of my life, no matter what anyone says. Would he stand by that conclusion for the rest of his life if he were presented with contrasting evidence? I don’t think a scientist should ever say he will stand by it for the rest of his life. I also found very sad for science in general that Zimbardo didn’t want to hear about a colleague of his with a different opinion. I’m not saying good faith. That’s what their claim to fame is the importance of social identity. As I said in another article, scientists should look for the truth. When a scientist stops searching for the truth he is not a scientist anymore. Were these acts of brutality—and their striking parallels with real-world prison atrocities—nothing more than a function of social demand characteristics in a fraudulent “sham” study, as Blum and other critics have argued, or do they tell us something important about human nature? The Lucifer Effect also talks about the famous Genevose stabbing where 38 witnesses didn’t lift a finger -or a phone- to help a woman who was being assaulted -repeatedly and at different times- in the street. Well, turns out the story was largely made up. The New York Times which ran the original story also admitted to mistakes and inconsistencies in the original article. We can do things we don’t want when we crave to belong or when we let others dictate our actions. And like Dalio says: learn to love and appreciate reality. And appreciate reality means that we can overestimate our ability or people’s ability to stand up to evil. An ounce of prevention and preparation can go a long way. That also means building systems and organization that are evil-resistant. Research shows that going against the public opinion as a cognitive toll on our brain. Keep that in mind next time you disagree with a group and be prepared to prepare that cognitive price. I find The Lucifer Effect to contain extremely compelling wisdom which is crucial for the whole humanity. But it gets lost in too many details. The description of the Stanford Experiment lasts 5-6 chapters and I didn’t feel I needed all of that. The same few themes repeat over and over through different events and experiments while a briefer description of one and a simple mention of the rest would have sufficed. The author says that starting fair and just and only later becoming unfair and evil creates confusions and people don’t realize the change. He says that that’s the “reason why abusive women stay with abusive spouses”. But that’s a vast oversimplification. 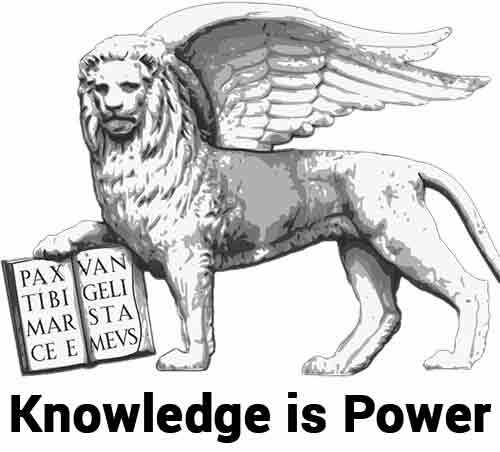 This is knowledge can really make the world a better place. Let’s all learn from it and apply the principles to prevent abuse and evil. 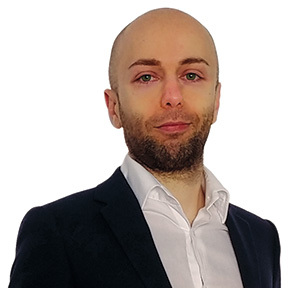 I find The Lucifer Effect to contain a great message that encompasses both personal development and human development as a whole: asserting personality authority and taking responsibility for moral actions will make us better human beings and will prevent crimes of obedience. And it will make it more likely that we will help out. Researching for this review of “The Lucifer Effect” I didn’t like how Zimbardo defends his experiment and views instead of defending scientific evidence and searching for the truth. However, I wouldn’t want that the criticism of the Stanford Experiment as a scientific experiment would lead us to throw the baby with the bathwater. Roles and social situations do influence people. And we have already seen normal people acting evil. I’d also like focus on that and on preventing from happening it again. I didn’t particularly enjoy listening to this book because it’s too long and convoluted. Unnecessary details on the Stanford Experiment might lead people to miss the important point Zimbardo makes. And I don’t think The Lucifer Effect is too well written, which might make it harder to digest for the masses. And that’s a pity, because this is a very important topic. In a way, The Lucifer Effect is what I advocate with The Power Moves. Personal power and responsibility for a better self and for a better world.